Welcome to all new supporters! 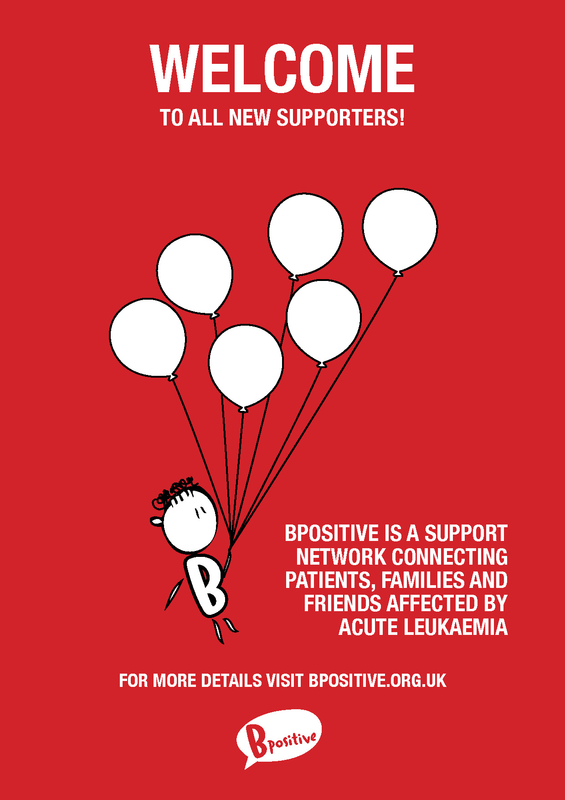 On behalf of all the Bpositive team, we would like to welcome you as a supporter of our charity. Your continued support will help us ensure that we offer our very best help and care to all those affected by acute leukaemia.